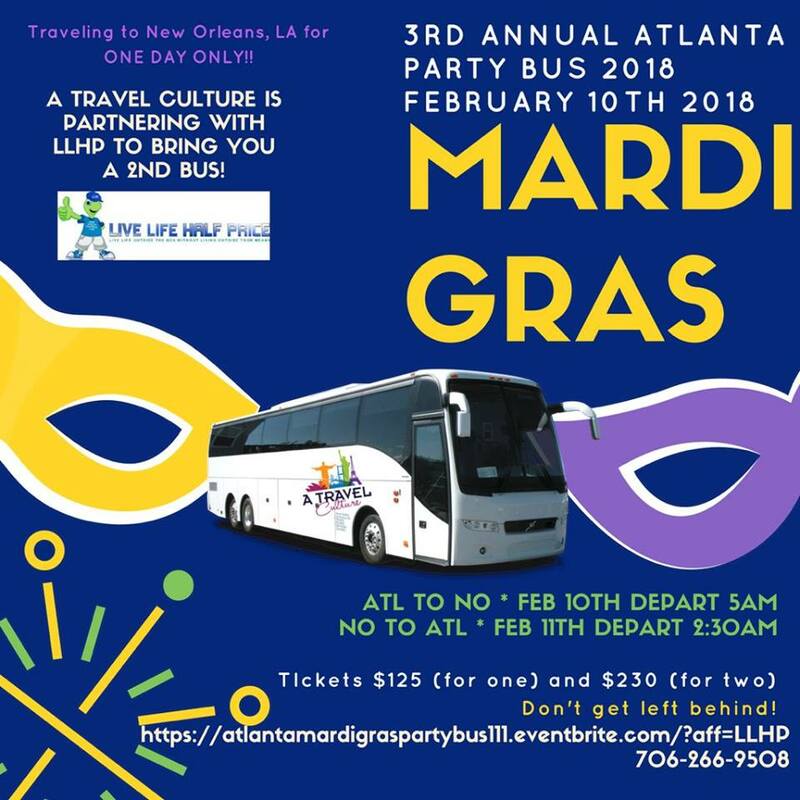 Join the party bus to New Orleans that brings a whole day of partying on Bourbon Street. Shots, Mardi Gras Punch, Games & Prizes, Music on the bus and of course Mardi Gras Beads to get you started! See the city, watch the parades, catch beads, party on Bourbon Street, eat great cajun food, and enjoy live music!! RAIN OR SHINE MARDI GRAS PARTY BUS WILL GO ON!!! !